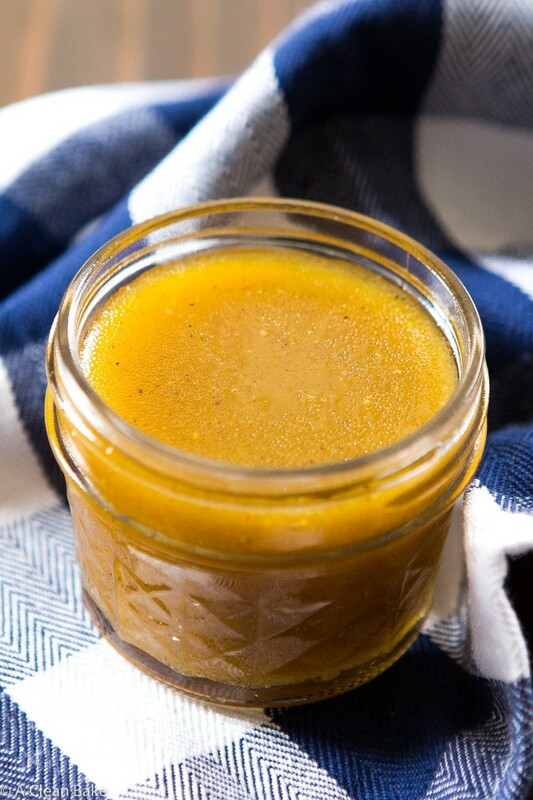 There will be no reason not to make your own salad dressing once you see how easy this apple cider vinaigrette can be. Just pour all of the ingredients into a container and shake or stir. That’s it! It’s gluten free, paleo, and vegan, and easy to adapt to be sugar free and Whole30-compliant, too! Please forgive the exceedingly boring nature of this recipe – at least on the surface, although the flavor would beg to differ – but after innumerable batches of cookies, cake, and more cake (<—this one was especially hard to cut into an eat, but we persevered…) – my body is begging for mercy in the form of anything crunchy, green and packed with nutrients. So, salad it is. I used to be the kind of person that my friends only half jokingly called The Next Martha Stewart because I could whip up a home cooked meal on pretty short notice and kept from-scratch condiments on hand just because. I hope to someday be that person again – perhaps when Baby Bake is in college? Hopefully sooner. So in the interest of getting food on the table, and in the absence of the kind of creative energy I used to have in spades, I will admit to embracing the kind of culinary shortcuts that involve not questioning why the breasts on those Costco rotisserie chickens are so unnaturally, unnervingly large by comparison to the rest of the bird. But I draw the line at salad dressing. 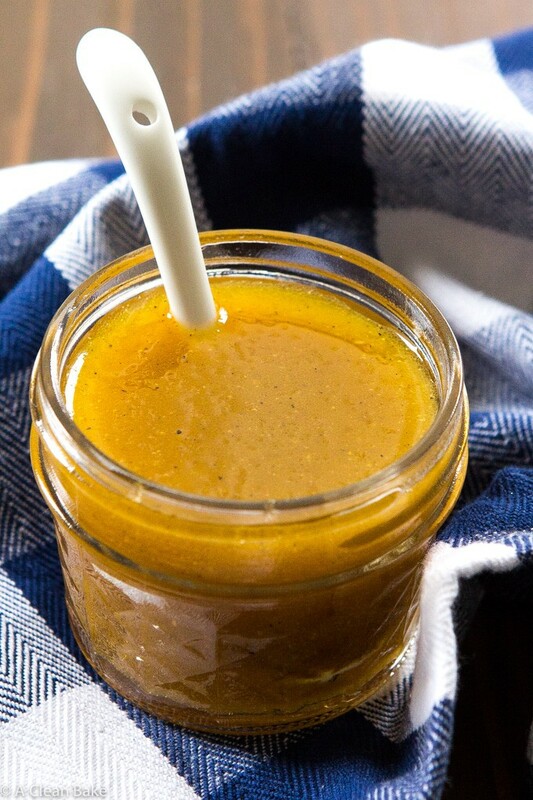 I won’t hesitate to expend a little bit of energy to make it before I’ll buy some bottled garbage salad dressing from the store, especially not when the best ones are homemade, sugar free and only contain a few basic ingredients. As a bonus, the base of this one is apple cider vinegar (not, as the name may initially appear to suggest, apple cider) which provides a pleasantly fruity tang and, as an added bonus, a healthy dose of probiotics*. *Note: make sure you are selecting a raw (unpasteurized) apple cider vinegar, preferably an unfiltered one that still has the “mother” (blob of starter) in it. If you’re nervous about it being unpasteurized, make sure you’re getting a reputable brand like Braggs – which I used continuously throughout my pregnancy, to give you an idea of how safe it is – or just get a pasteurized product and forgo the probiotics. My salads have never been happier. 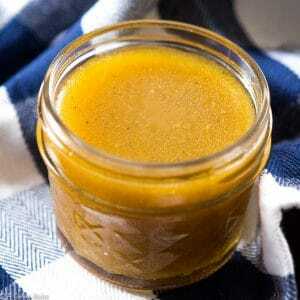 There will be no reason not to make your own salad dressing once you see how easy this apple cider vinaigrette can be. Just pour all of the ingredients into a container and shake or stir. That's it! It's gluten free, paleo, and vegan, and easy to adapt to be sugar free and Whole30-compliant, too! Add the remaining ingredients and whisk (or shake in an airtight container) vigorously until well combined. 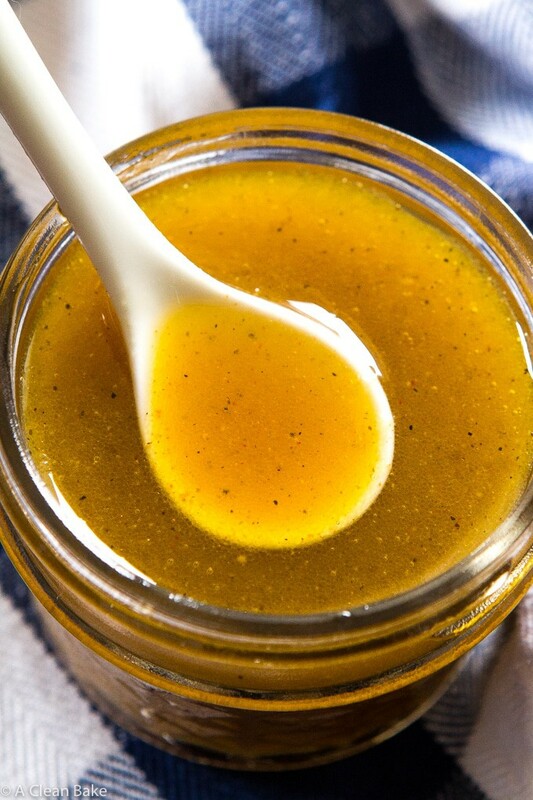 Omit the honey for sugar free or Whole30 variation. Replace the honey with maple syrup for vegan variation. Check the mustard ingredients; make sure you're using a sugar free product if sugar/carbs/Whole30 compliance is a concern. 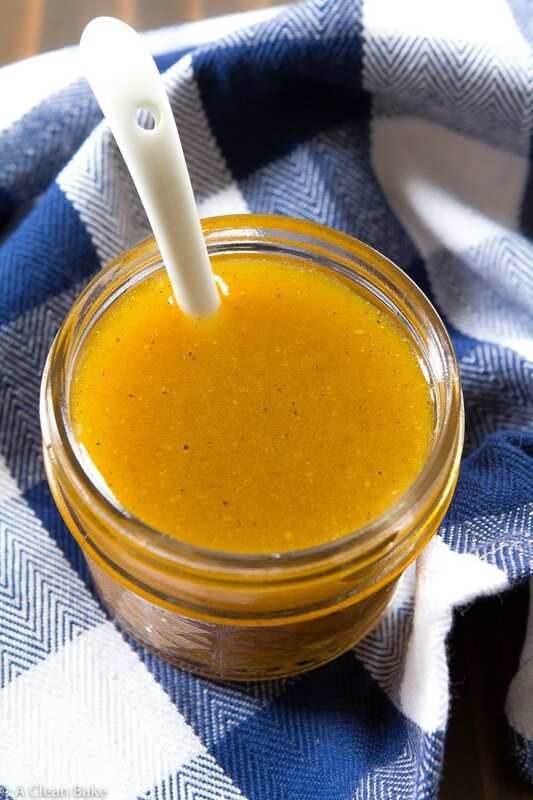 Stop whisking as soon as you see the emulsion (the ingredients are mixed and the vinaigrette becomes opaque). It is possible to overmix and break the emulsion, which means the oil and vinegar will separate and you won't be able to reincorporate them easily. Thanks Nora, I just printed this and promise to use it. When I make dressing I am always saying gee that’s easy, yet the grab and go tends win. I love Braggs! And I just got some high-quality furreal and not fake olive oil WHICH I see came up on your page. Kirkland’s makes the list of real olive oil! Anyway, yep those years when our baby bakes get to be big men go so fast. I don’t blame you – grab and go will *always* be easiest. But making it is only barely more effort. Oh and you can double this recipe to make extra so you don’t have to worry about making it again for awhile! It should keep for some time in the fridge. Yes, I LOVE Kirkland olive oil! I use it all the time! Speaking of which, hope your Baby Bake is having a good time in California!! What is the serving size and calories ? The nutrition information is below the recipe. Thanks! HI,I NEED A VERY BASIC SALAD DRESSING FOR ONE, MADE WITH COCONUT OIL & RAW COCONUT VINEGAR, I’M TRYING TO FOLLOW A GERD DIET, DOES ANYONE HAVE A SIMPLE BASIC RECIPE FOR ONE? 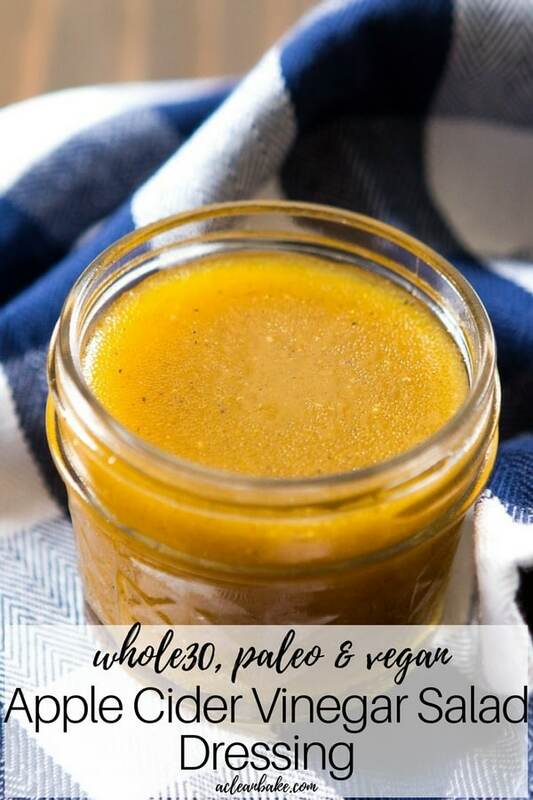 Kelly, try replacing the oil in this recipe with coconut oil (warmed, so it is liquid), and apple cider vinegar with your preferred coconut vinegar.